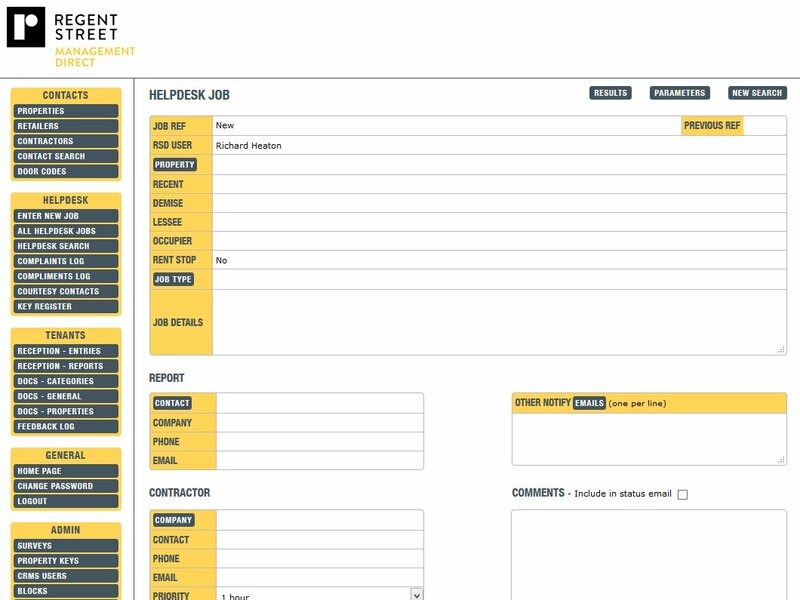 In 2000 we were asked to build a helpdesk system for a large office building in London's Docklands. 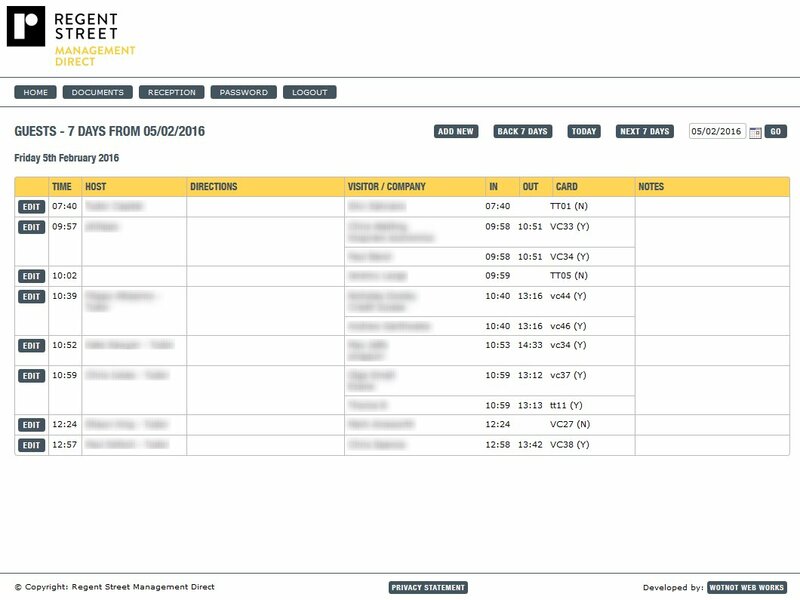 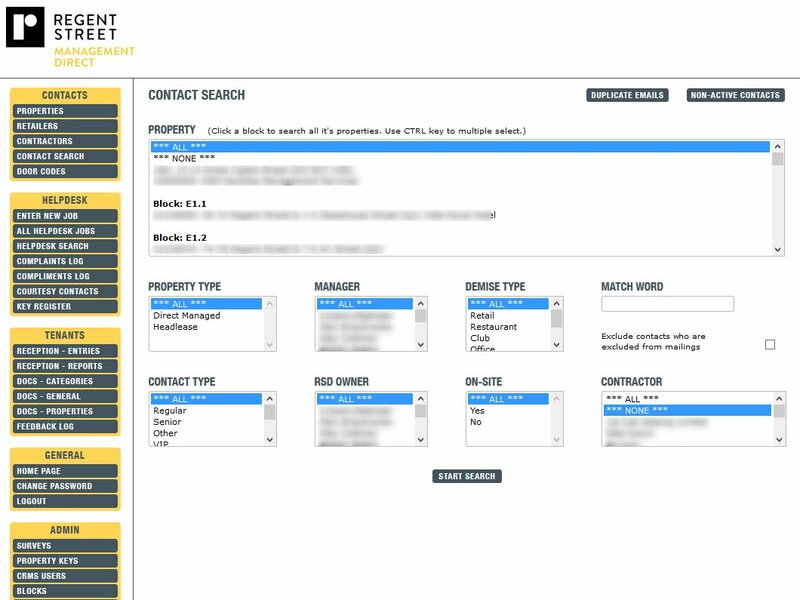 Following the success of that (which is still being used) we were instructed to develop a more extensive helpdesk system for by Regent Street Direct who manage Regent Street in London on behalf of The Crown Estate. 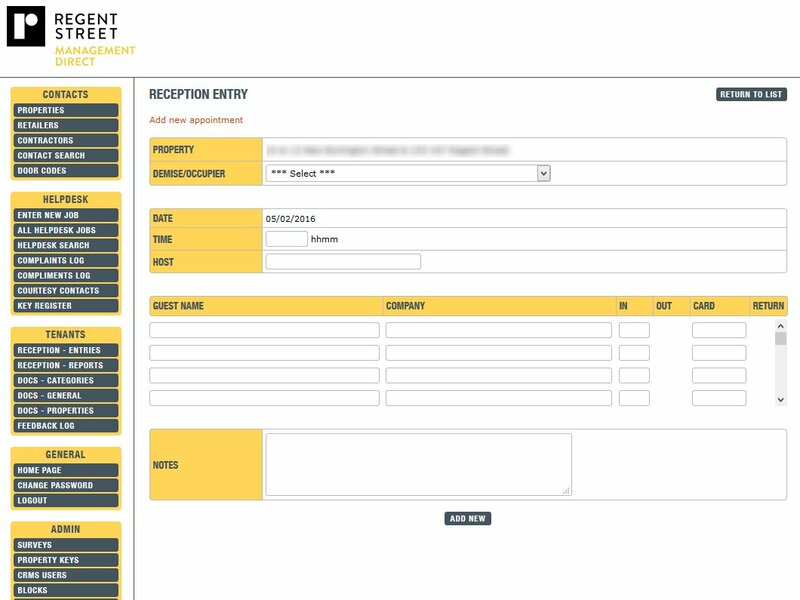 The system has been extended over the years with new functionality to be a centralised system for all contacts, a system for occupiers to view documents about the building and they can inform reception of visitors so that the receptionists can record arrivals and departures. 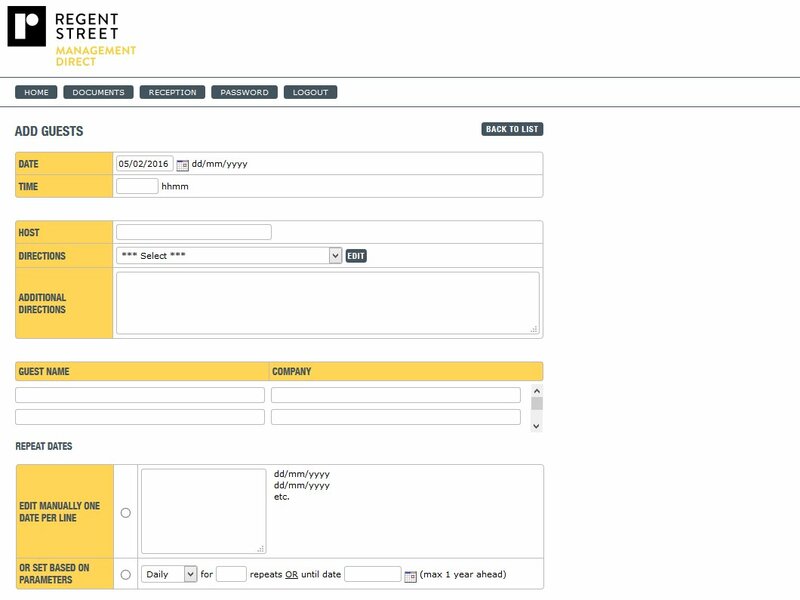 It is a private system so we can't give you access but there are some screenshots below. 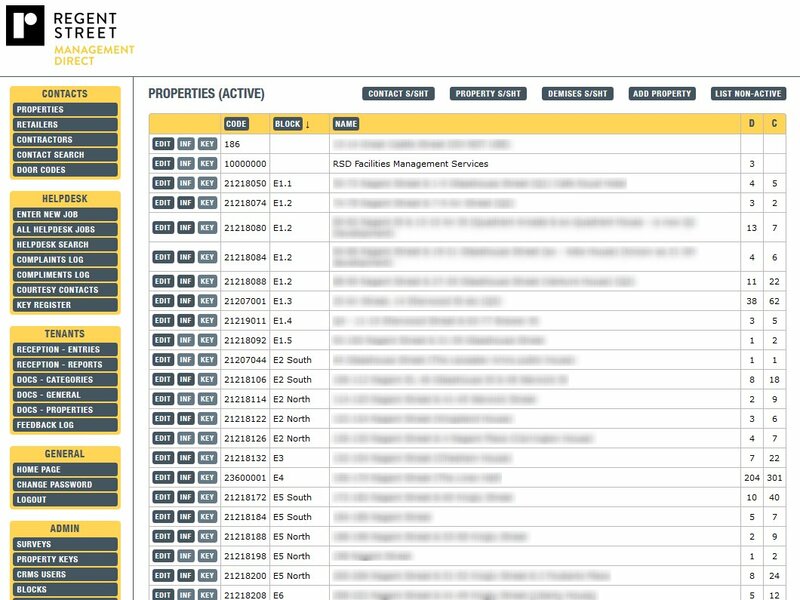 The first images are the admin area and the last two are the occupiers area.